There are certain tools that every locksmith should carry with them at all times. These tools are responsible for duplicating car keys, prying car doors open, safely removing ignition keys jammed inside the ignition and emergency lockout solutions. Locksmiths rely on many objects to help them get through each situation. You’ll get a much deeper understanding on the select toolset used by an ordinary locksmith technician. Let’s take a closer look at these specific locksmith tools of the trade! Professional Lock Picking Tools – Locksmiths heavily rely on these tools to get them through very difficult jobs. Lock picking tools include a complete set of tension wrenches that are designed specifically to fit each set of unique locks. Each tool is custom tailored to pick through all types of vehicle door locks without any problems. Slim Jims – These tools are designed to unlock car doors without the use of a key. Professional locksmiths use these tools on a daily basis. The slim jim is placed between the window and rubber coating to carefully unlock the door. Key Duplication Machniery – Complex and custom built key duplication machinery is what every known locksmith carries in their trucks. This particular machinery is used to build brand new car keys or house keys within minutes. Locksmiths also carry laser key cutting machinery to match the existing key copy with a new one. Bolt Cutter – Ideal for cutting locks that have been jammed. Bolt cutters come in handy when you need to open a padlock or a chain to access your garage doors or closed property. Locksmiths use these tools with extreme care, since they can damage items as well. As you can see, there are many various tools that a locksmith uses each day. Locksmiths usually carry a belt with various wrenches, lock picking devices and power tools. A tension wrench might be the only object used in a lock picking situation, while a full set of drills and extensions might be used to install a home alarm system. Locksmiths have mechanical knowledge and even carpentry skills. They’re able to best determine which tool or tools is most ideal for the task at hand. 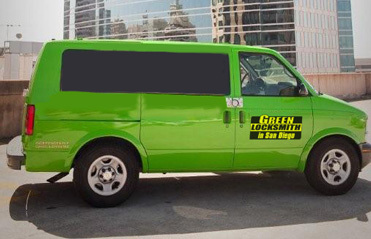 You’ll never find a mobile locksmith leaving his truck without a slim jim or several lock picking items. The vast majority of roadside lockouts are generally attributed to jammed locks or lost keys. Duplicating a car key requires years of experience, not to mention having perfect vision to clone the original copy. Locksmiths tend to carry safety equipment as well, to warn other drivers that emergency services are being performed. There are tons of procedures that a locksmith must study before receiving certification. 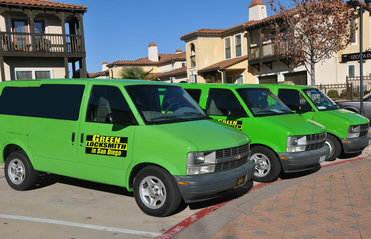 Green Locksmith is the most relied upon locksmith company in the city of Los Angeles. We carry a wide variety of tools and gadgets to help get us through each unique locksmith job. Our certified roadside specialists are on call 24 hours a day to lend a hand. Regardless of the task, we’ve always got the right locksmith solutions prepared in advance! Call us today to learn more and get a direct quote by phone.